I have been a volunteer at Ratna Ling for 3 years now. It is hard to believe that a gypsy such as I am, has stayed in one place for so long. There are many reasons for this steadiness, some of which I will try to articulate in this blog post. Before I drove up the road to Ratna Ling the first time, I pulled over and had a great cry. I let go of so many things that afternoon. I knew that it was an important time for me and that the release was part of the transformation that was about the happen in my life. The very first thing I noticed was how quiet it is here. There is a profound silence to the land with the tall trees holding in a very special sacred energy. I felt that this land had been blessed and that the blessing is still very alive in the atmosphere. I later learned that yes, in fact, this land was included in the mandala, the plan for the land where Tarthang Tulku Rinpoche lives and has built the community of Odiyan, which we can see from here, but is closed to the public. As I met with Janet and Ros, they welcomed me and offered me the job I had prayed for for many years. I could do what I love, which is healing work and I could live in a beautiful cabin in the woods, have my meals prepared for me, eat with the community in an amazing dining room, no commuting to work and live in an intentional community…all of it! I didn’t even know I was ready for this kind of gift in my life, and I have appreciated it every day since that day. I didn’t even look around at the housing the first day I came. I just absolutely knew that this is where I was going to live. I started breathing a new breath that day. It is a unique feeling to live in a place that has respect, compassion, mindfulness, caring and spiritual practice built into its very foundation. I suppose it might not be everyone’s cup of tea, but for me, it is perfection. All of the concerns I brought with me slowly dissolved. It is amazing how much stress we carry around with us without knowing until the time comes when our life is no longer stressful. In looking back, I can see many layers of struggle I was engaged within my life before I came here. 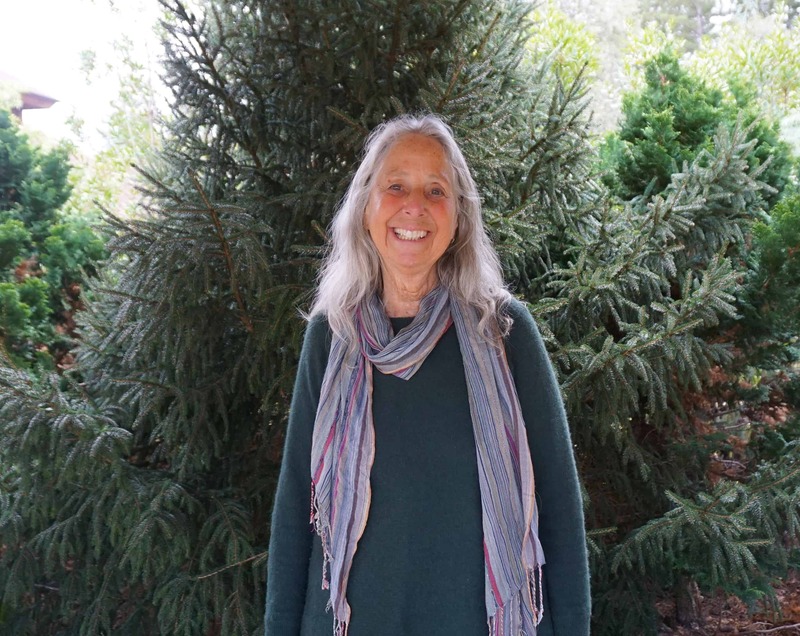 The Ratna Ling Volunteer Program asks for a six-month commitment, and that may seem like a long time, but actually, it takes about that long to let go, to sink in, to expand the psyche out into the peace. It takes that long to realize that life can be harmonious and for the juices of gratitude to really begin to flow freely. Now I watch new volunteers come and realize what a big step it is to retreat from the worldly life, the effort it takes to make a living in order to pay rent, buy food and pay the monthly bills. We don’t have that pressure here. I see how incredible it is for people to realize that life can be accepting and supportive. The community is all working together and with each other to build a life based on the common ground of patience, gratitude, generosity, kindness, meditation…What a blessing! What an amazing blessing. And don’t let me forget that when those stresses are removed daily, weekly, monthly, all of the things we have pushed to the background of our being are free to come out and show themselves to us. There are few distractions to take us from habitual mind chatter, our body patterns and ourselves. That is also a great gift. It is a perfect time to clean out the closets of our mind and throw away what we no longer find beneficial. As a volunteer, we have the opportunity to learn tools to help us in our growth. There are classes, retreats and the volunteers have access to bodywork and acupuncture to help them along the way. That is my job, and I feel so privileged, so honored to work with the people who, through the grace of the Universe have found their way to this blessed place. And so, that is my story. It is time for lunch, and I am ready!